ASPI asked the ABC: How many shortwave listeners does Radio Australia have in PNG and the South Pacific? 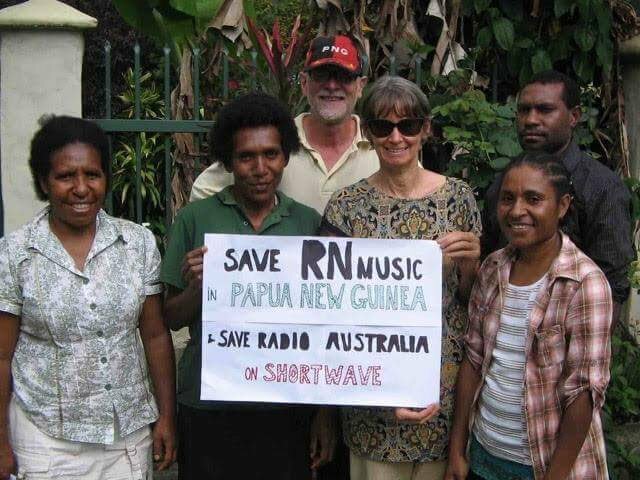 Q: What percentage of RA’s users in PNG and the South Pacific get the content by shortwave? To stress the strangeness: Australia has no idea of the numbers or listeners in the Pacific who’ll be affected when the shortwave transmitters go silent. It has been a vital service for 75 years; with two months notice it’s redundant. 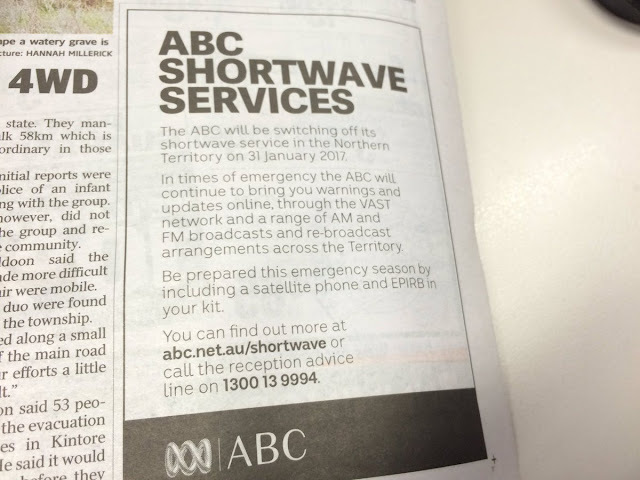 Meanwhile, Australia’s foreign minister Julie Bishop raised the Pacific region’s concerns about the ABC’s planned abolition of Radio Australia’s shortwave service with the national broadcaster and sought "an update in the New Year". 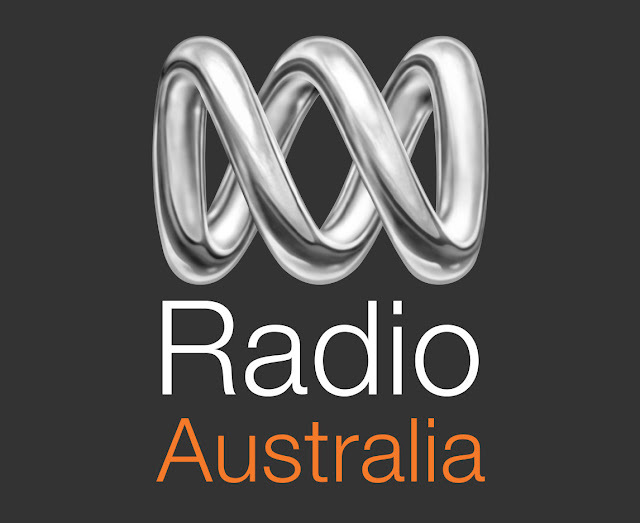 NT Labor senator Malarndirri McCarthy and Northern Territory MP Warren Snowdon have been making repeated calls to halt the closure of Radio Australia's NT regional shortwave broadcasts, referring to the concerns of their constituents, only to be met with intransigence by the ABC's management. 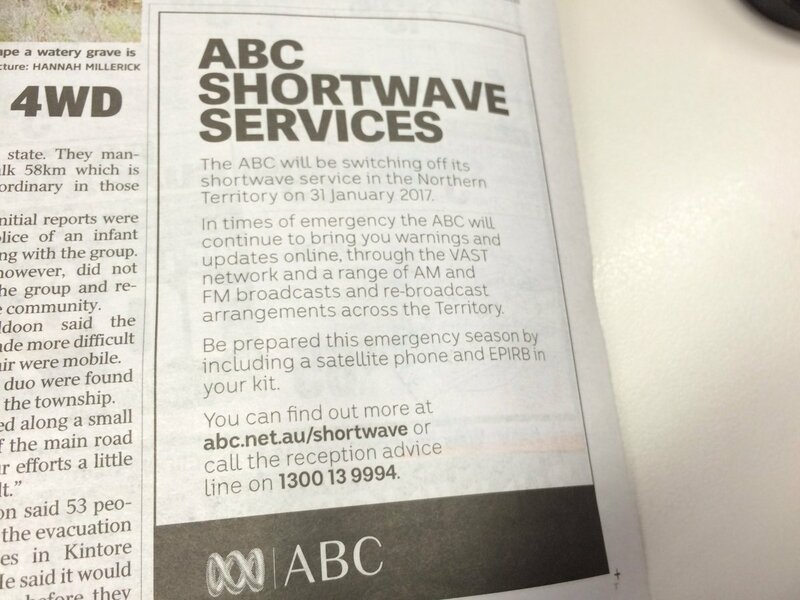 In a related and somewhat ironic development, the ABC advised Northern Territory residents to obtain satellite phones for emergency use in an informational advert about the closure of its shortwave services. For AM, FM and DAB services to be viable alternatives to the ABC's shortwave transmissions, the local power grids and wired infrastructure would need to remain intact during emergencies. The story about phone lines going down in a remote north Queensland community after storms demonstrates that this assumption is questionable at best. More evidence that shutting off shortwave would have negative consequences for the entire region came from French Polynesia, where the national broadcaster's decision to switch off its local AM signal in favour of FM transmissions left multiple pockets of the population without any radio coverage (Radio New Zealand International: Loss of AM radio irks French Polynesia). Meanwhile, it has been reported that in Papua New Guinea, only 10% of the population have online access, while recent failed engineering works cut the Marshall Islands off from the Internet, leaving the country largely isolated from the outside world. Reading all of the above while the ABC management shows no signs of paying attention to the concerns of their listeners in Australia and beyond feels like watching a train derail in slow motion, with the consequences already known well in advance.